7/11/16 This wine decanter and two wine glasses sold in 2013 for $325. 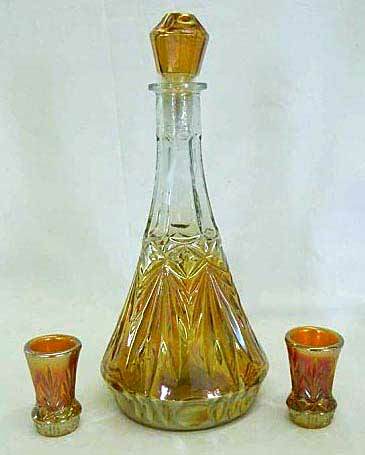 In 2016 a decanter with stopper and a paper label around the neck sold for $110. The label reads "1920" so it definately dates from the classic carnival era. Glen and Stephen Thistlewood suggest it may have been made in South America, probably Argentina, but have no definitive evidence.